Abe Sapien follows a strange clue to the jungles of Indonesia and a secret society with connections to his past life during the American Civil War. Meanwhile, Liz's apocalyptic visions have begun to escalate, and Johann makes a startling discovery about a member of the Bureau. 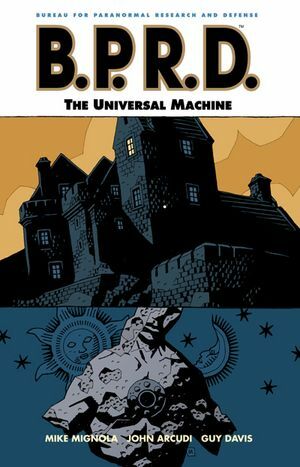 Written by John Arcudi and Hellboy and B.P.R.D. creator Mike Mignola, and drawn by Guy Davis, Garden of Souls offers a window into the bizarre backstory of Abe Sapien and his colleagues in the mysterious Oannes Society-complete with Victorian cyborgs, doomsday devices, and a very well preserved mummy. * Collects B.P.R.D. : Garden of Souls #1 - 5.